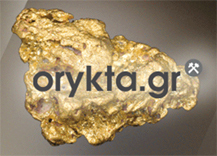 The Geological Society of Greece was founded in 1951 as a non-profit scientific organization, to promote and advance the knowledge of all topics of geology. The shape of Santorini Island was set on the logo of the Society, since the volcano had erupted one year before. Through International Congresses, scientific meetings, workshops, field trips and publications, the Society provides a forum for the presentation and dissemination of current knowledge related to the geology of Greece and the adjacent areas to earth scientists. The affairs and business of the Society are managed by the Board of Directors, composed of 10 members, which are elected every second year.